• Experience minimum 3 years in the similar position. Requirements: Female, with exp. Filipino / Indian. Method: In a skillet, cook steak until it’s at least 145ºF in the center. Whisk oil, lime juice and soy sauce and toss with lettuce, red pepper, peanuts and cilantro. Top salad with streak strips. 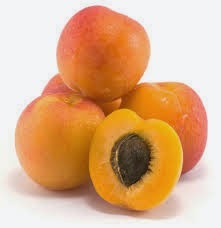 Place the apricots in a saucepan with the orange juice and heat gently until boiling. Cover and simmer gently for 3 minutes. Cool slightly and then place in a blender or food processor and process until smooth. Stir in the yogurt. Whisk the egg whites until stiff enough to hold soft peaks and then fold in the apricot mixture. Spoon into 4 serving glasses or a large serving dish. Chill before serving. Garnish with fruits. Headaches (especially if they’ve become a chronic condition) can be debilitating, especially if you suffer from them frequently. But instead of trying to medicate your headaches away when you get them, how about looking into the cause of these unpleasant and painful symptoms? Drop apple slices in the bottom of the pitcher and then cinnammom sticks , cover with Ice about ½ way up then add water. let the water steep or diffuse.in the refrigerator overnight or atleast for several hours and serve.the 32 oz is for one day consumption. Good Salary + Free Food and Accommodation. C/o A. J. INTERNATIONAL Mannancheril Building' Kannathodathu Lane' Near South Railway Bridge, Valanjambalam, Ernakulam, Cochi.